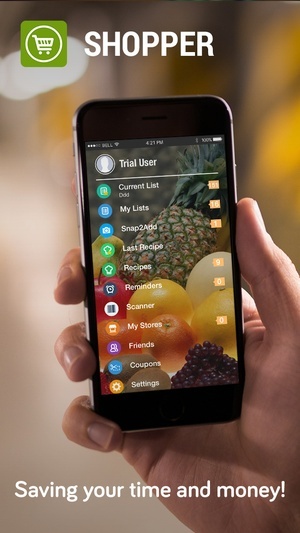 Shopper saves you time and money every day at big stores and small ones by making any shopping list quickly and easily, suggesting great recipes and helping budget with grocery coupons. About.com 2013 Best Shopping List App Finalist MacWorld Magazine "4 Mouse Rating" Laptop Magazine “50 Most Useful iPhone Apps” Everything iPhone "Easy to use lists ...Much functionality..." Absolutely Great! 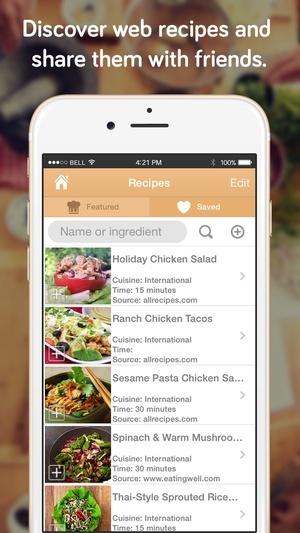 SusiBrasil have used this app for 2 years now and absolutely love it!” Most useful app have. 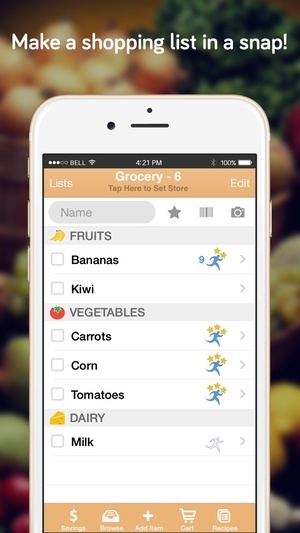 Mark Of The Sun have lists for everything from stores to todo’s to wines to try!” Key Features Make a shopping list in a snap. 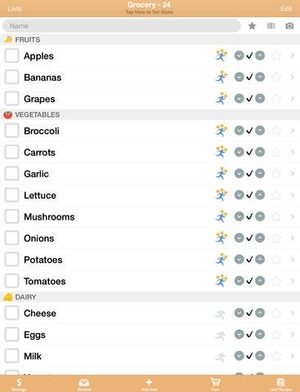 Order the list for your pantry for planning or the store to grocery shop efficiently with the list. 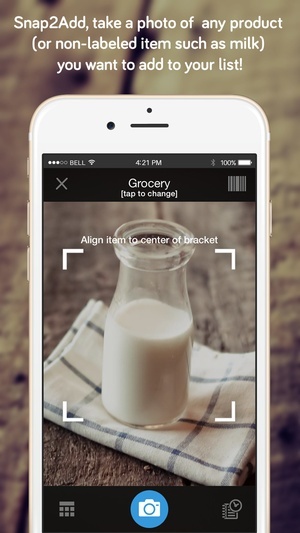 Sync your shopping list with family and friends. Supports notifications of changes. 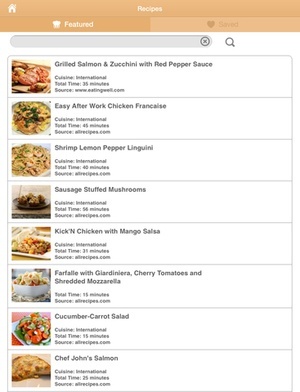 Store your own recipes + find web recipes; put ingredients right on your shopping list Save money with lists of grocery coupons from top brands Scan barcode items directly onto your shopping list Web & crossdevice shopping list access Guiding Stars Grocery nutrition ratings linked to list barcodes Budget & planning track total grocery list prices minus coupon savings plus taxes owed right on your lists! Real Customer Support our users love! 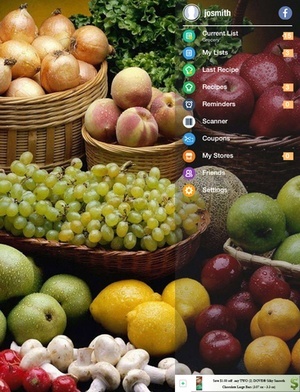 Plus Build a shopping list from pantry categories including grocery, home improvement, electronics, beauty and baby Shopping list templates for pantry tracking or repeat grocery shopping Notes and photos on all grocery list items make planning and shopping easy Multiple lists & multiple stores Custom list aisle layouts & pricing for all stores & pantry lists Shopper is an indispensable list for big shopping trips to stores like Walmart, Kroger, Costco, Target, Home Depot, Lowes, Safeway, Publix, Albertsons, Meijer, and Aldi, where a list is a must, as well as smaller stores like Walgreens or local convenience stores. 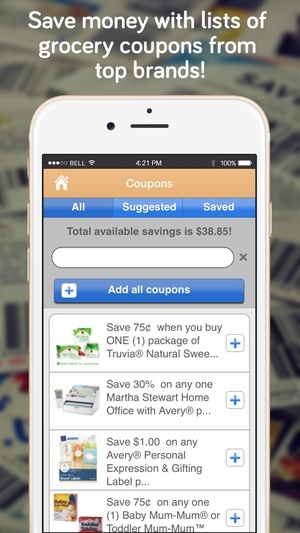 Shopper includes coupons and advertisements (see the screenshot examples) but Gold Members can control if and how coupons and ads display. Purchase a oneyear Gold Membership from Settings/Purchases for $11.99/year. Gold Membership automatically renews but can be disabled up to 24 hours prior to renewal. Thanks for the continued support. Please follow us on twitter (@shopperapp) & facebook. To ask questions or send suggestions please contact Customer Support directly. 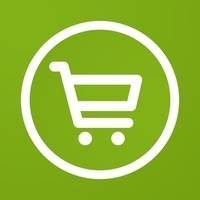 Check these links to find your download for Shopper Lite for & iOS or for your device iPhoneiPod TouchiPad. 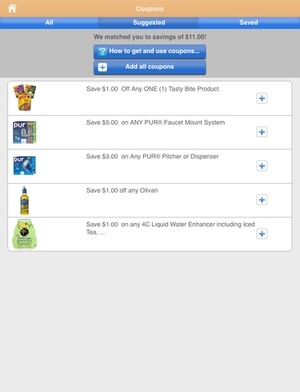 The app Shopper Lite is compatible with te following devices.